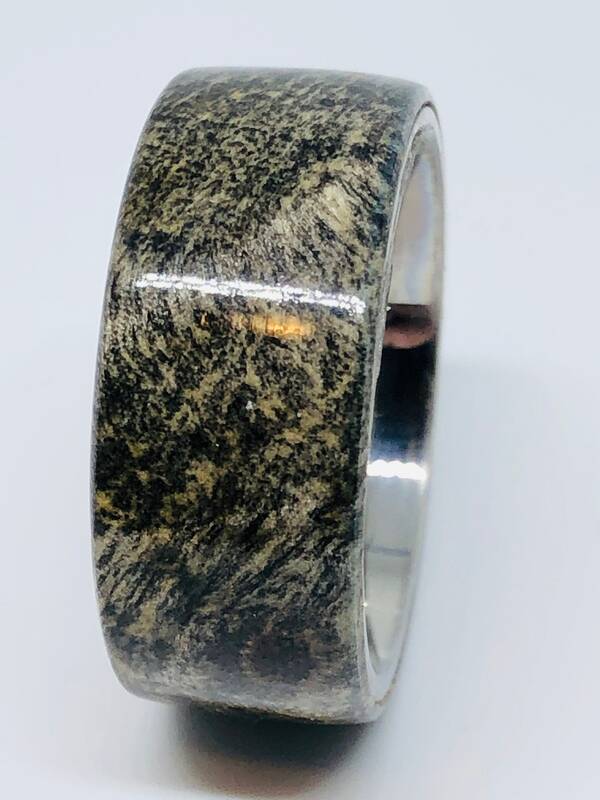 Hand made wood ring. 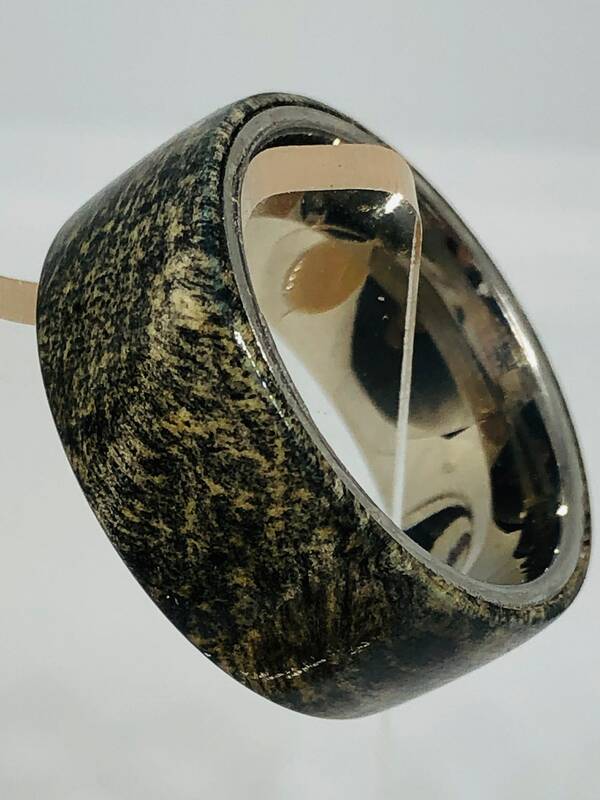 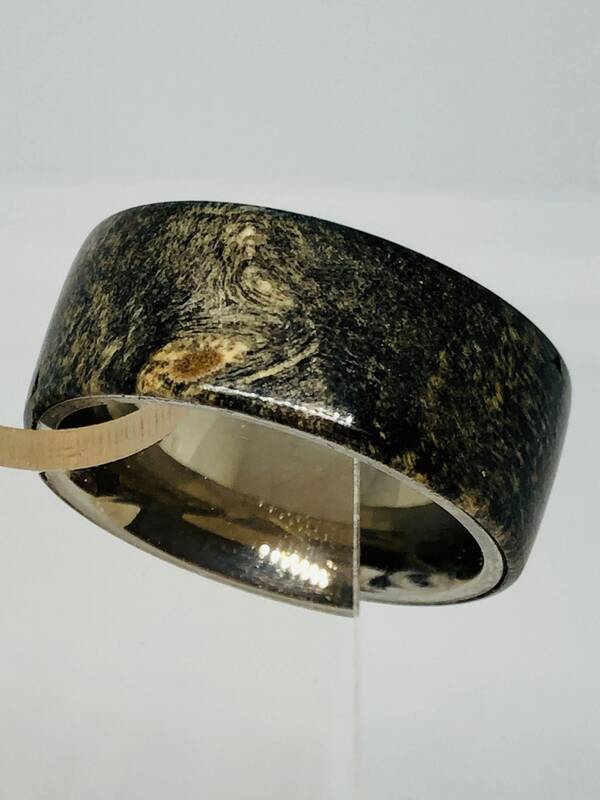 Stabilized buckeye burl wood, mounted on a polished stainless steel core make for quite the statement ring. 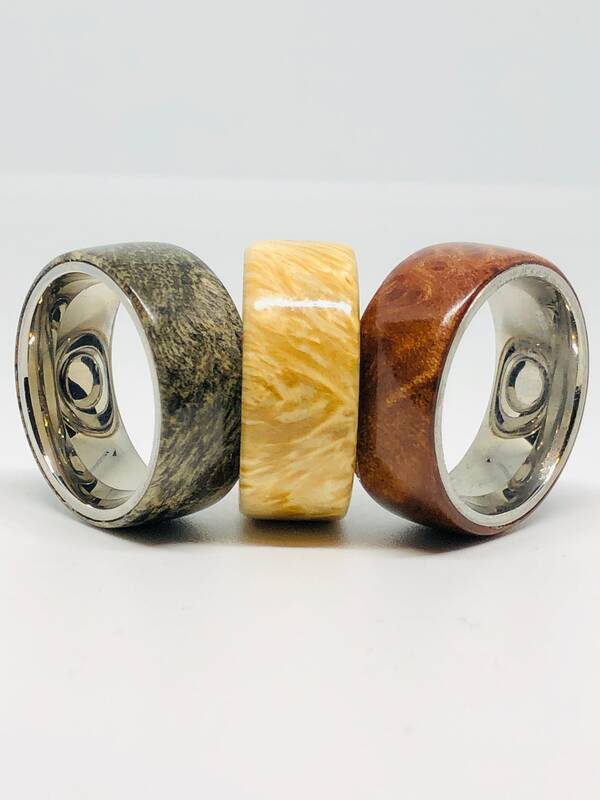 Show of the love of your man by getting him something he can show off to everyone. 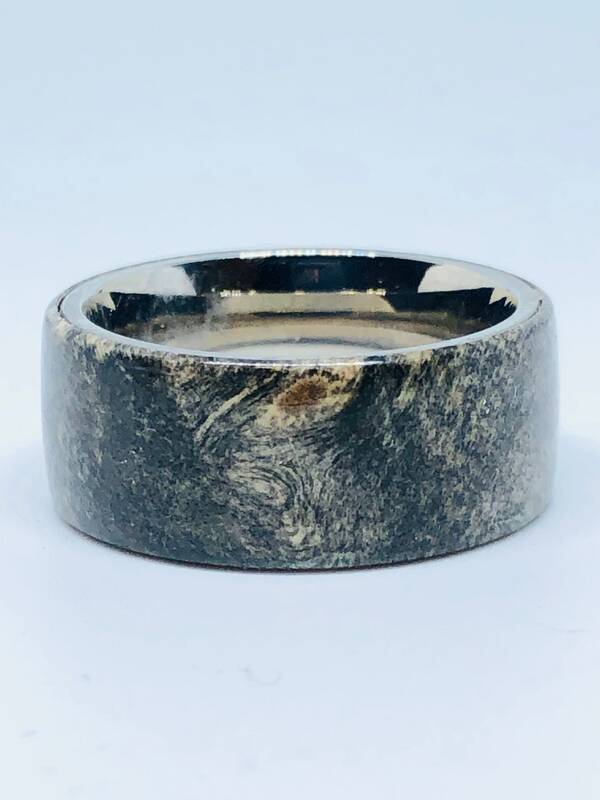 Or treat your self to a new ring just for the fun of it. 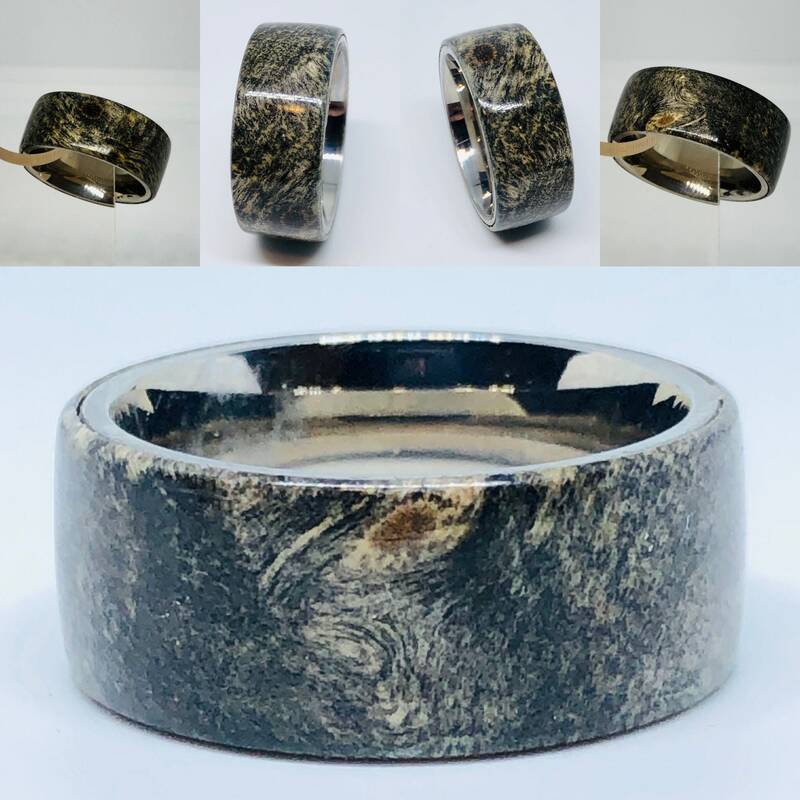 size 10.5 and 10mm wide this is a heavy size ring made for showing off.